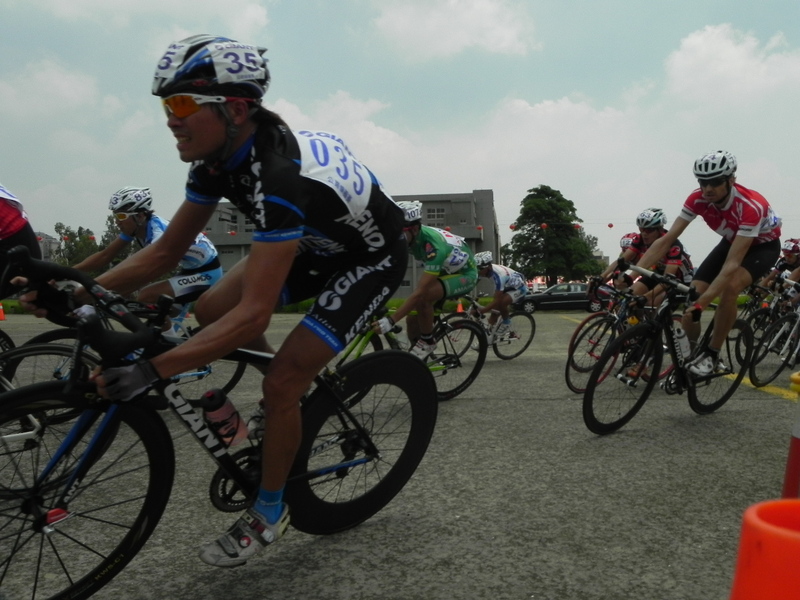 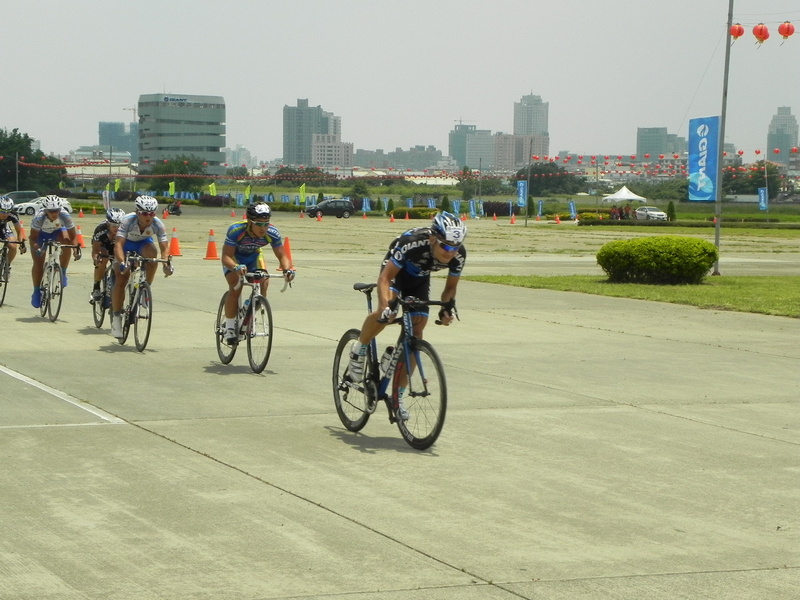 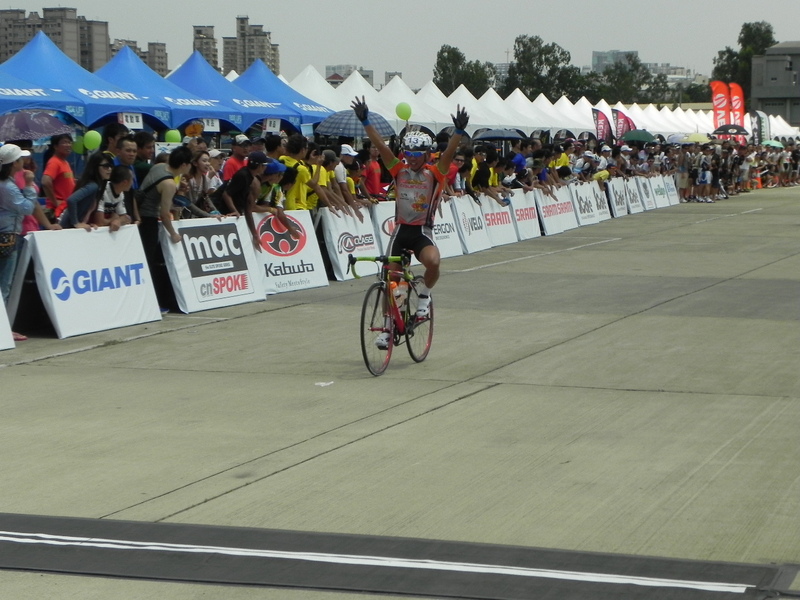 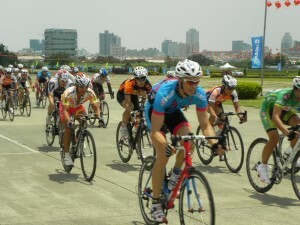 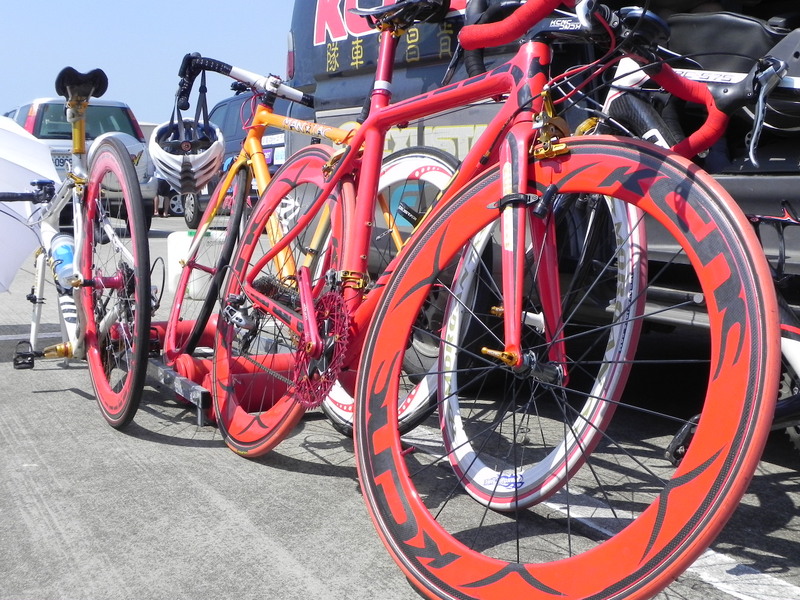 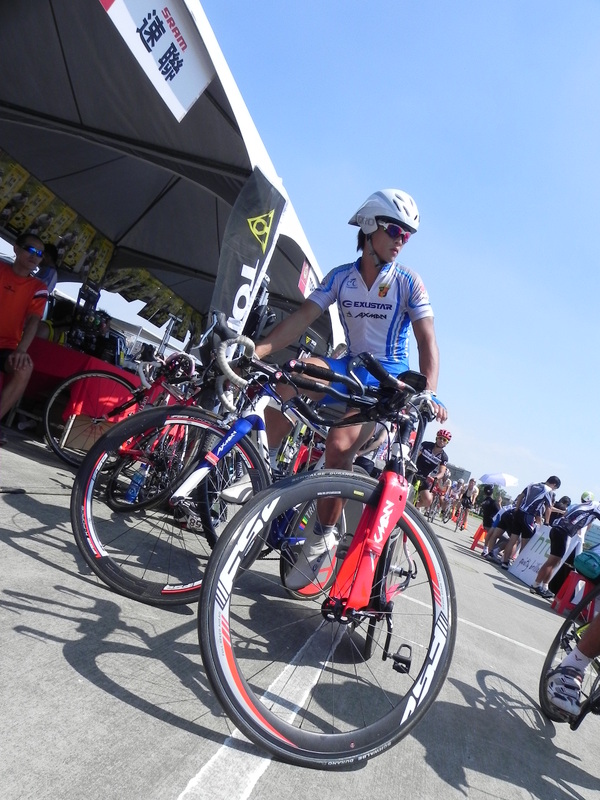 The old Taichung aerodrome was the location for a very hot day’s criterium racing last Saturday. 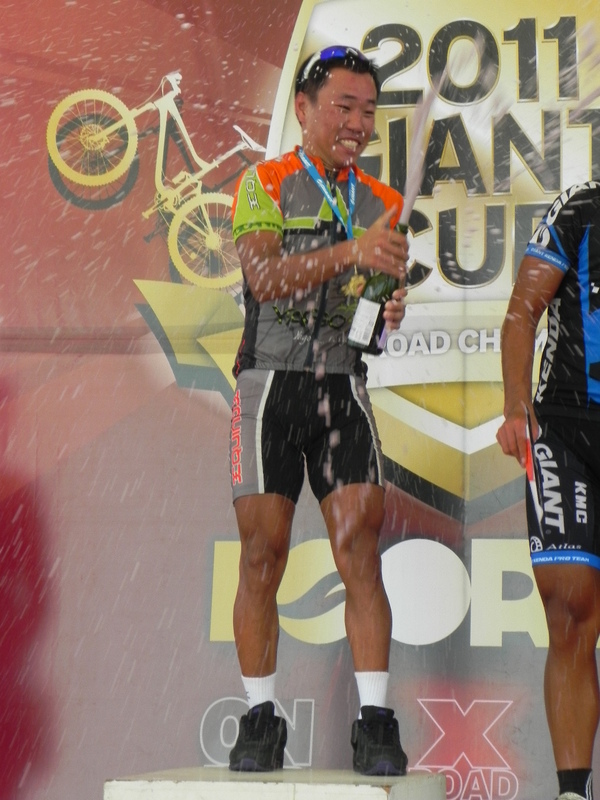 This is part of a whole weekend’s racing, the annual Giant Cup which includes MTB racing on Sunday. 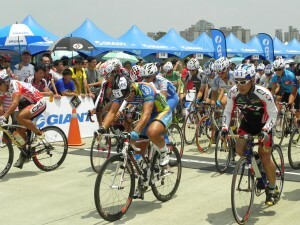 Giant Taiwan’s new multistory HQ overlooks the venue, having recently moved from their old premises in the city’s south. 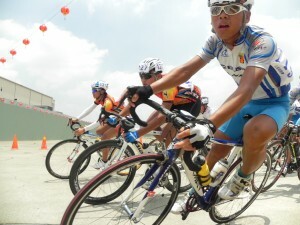 The younger you were, or if you were in the elite, the later in the morning you got to start. The concrete surface reflected the heat making for uncomfortable conditions even in the shade of the various “booths” set up along the main straight. The M15 fly into the first corner of their 20km crit with two of the strongest teams leading the charge, Exustar Cycling Team and the Hsinchu Training Team from a high school based in Hsinchu (新竹聯隊). William (莊汶彥) of the Hsinchu Training Team is currently top of the points table for the M15 competition nationally. 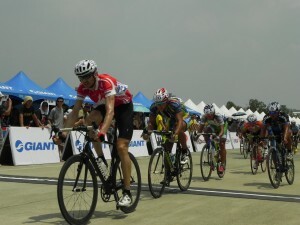 This event was not his discipline with the longer events, particularly climbing, being his preferred sort of event. 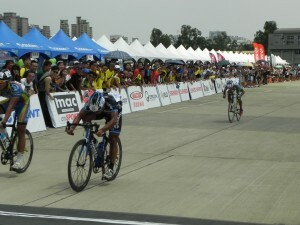 He placed 11th today some 4 seconds off the pace. 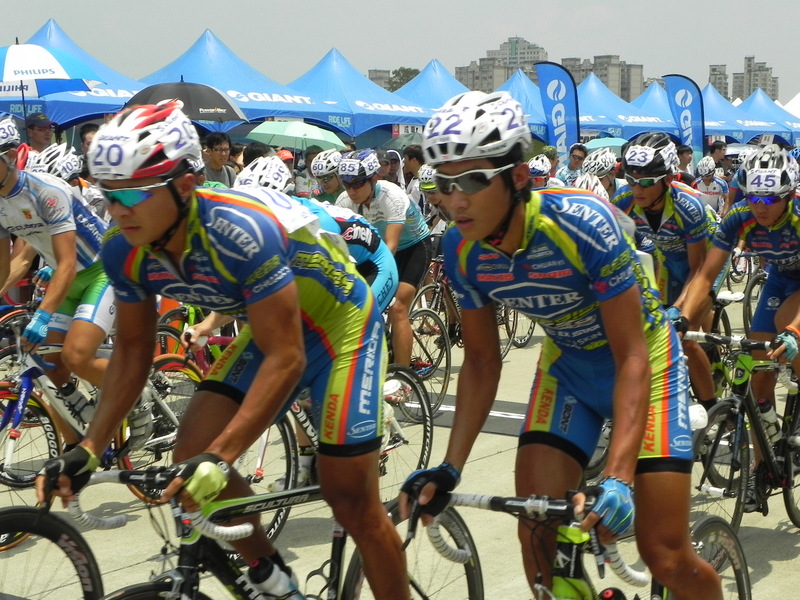 There were 70 starters in this category, the cream of Taiwan’s future racers. 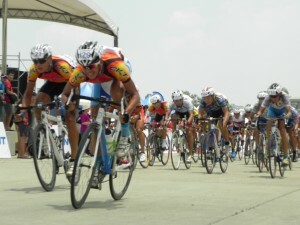 Of those 70, 32 did not finish the event. 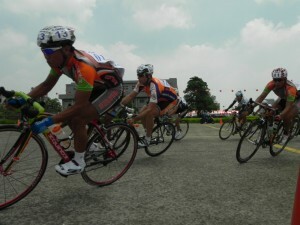 Conditions were tough and as we will see an even greater attrition rate decimated the ranks of the elite! 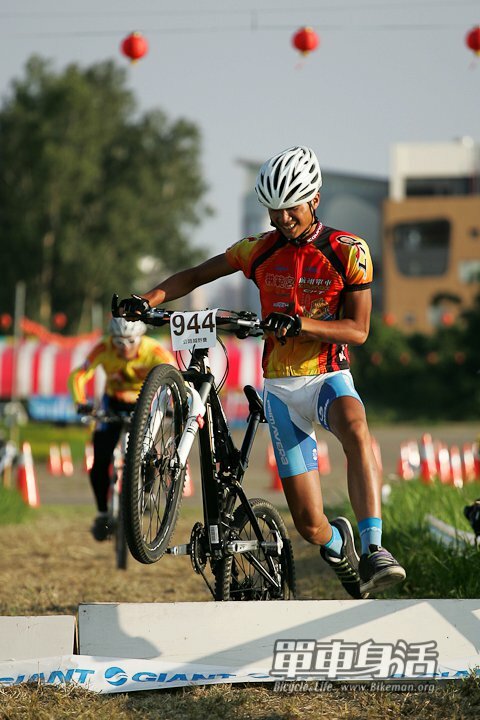 He is not at all familar with MTB riding but had a go at the early morning MTB/Cyclocross event and was back for more in the afternoon with the Team Time Trial event. 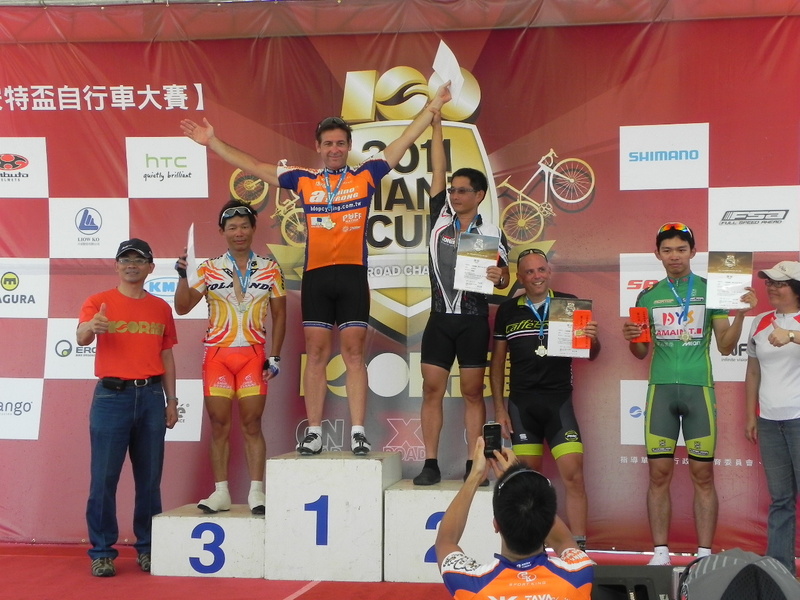 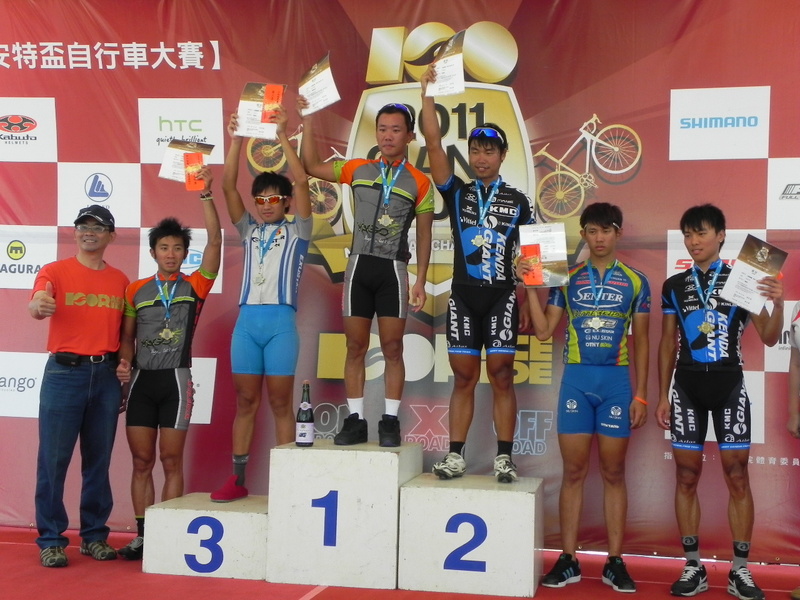 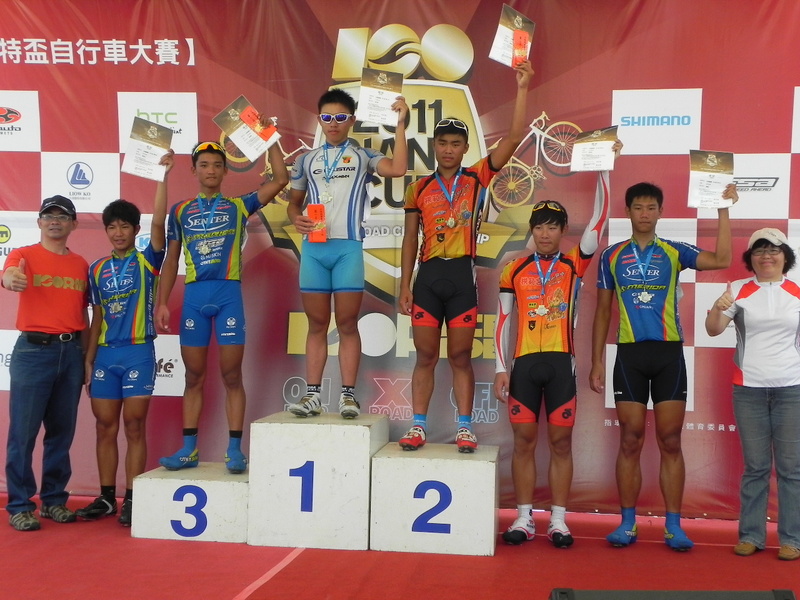 Zhang Wen-Hua (張文華) of the Exustar placed first in the M15 division with William’s team mates taking 2nd and 4th places. 3rd, 5th and 6th were Team Senter-Merida. 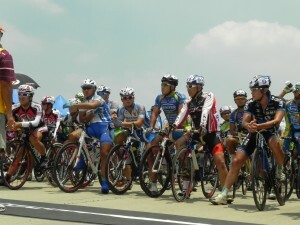 94 contenders lined up for the elite 30km which got underway at midday when things were really starting to get toasty. Team Senter-Merida were looking strong and did well with a 3rd and a 6th overall. 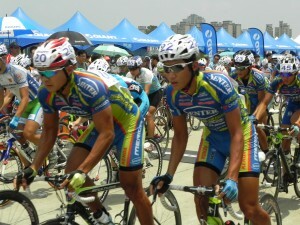 Guo-Long on the left finished 46th although Hsin-Hua to his right did not complete. 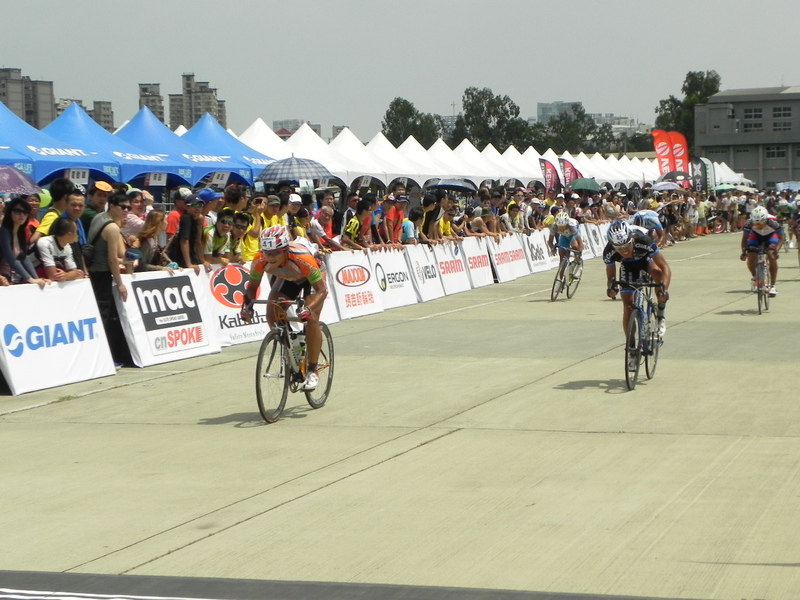 After the first circuit the pace was fierce coming into the straight. 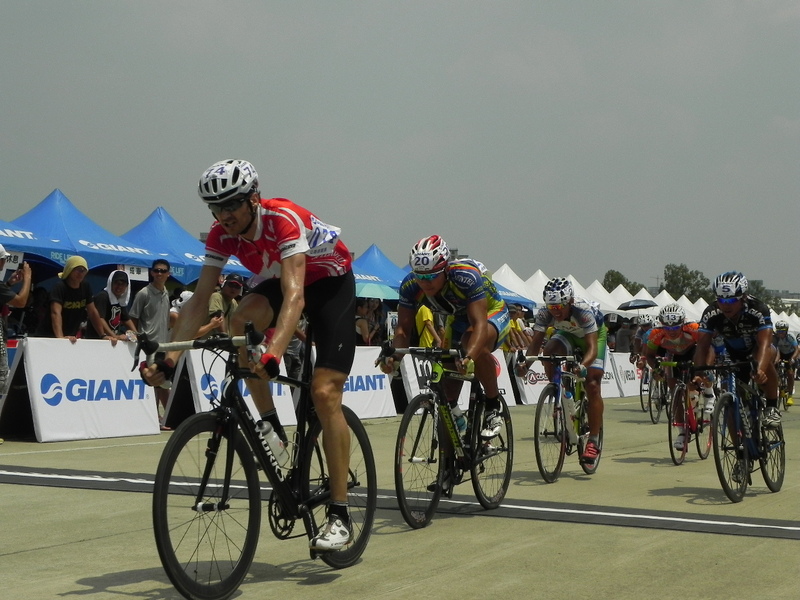 Rick Hartwell of Team Cinelli-Ritchey was close to the pace although fell victim to the pace along with 53 others who did not complete. 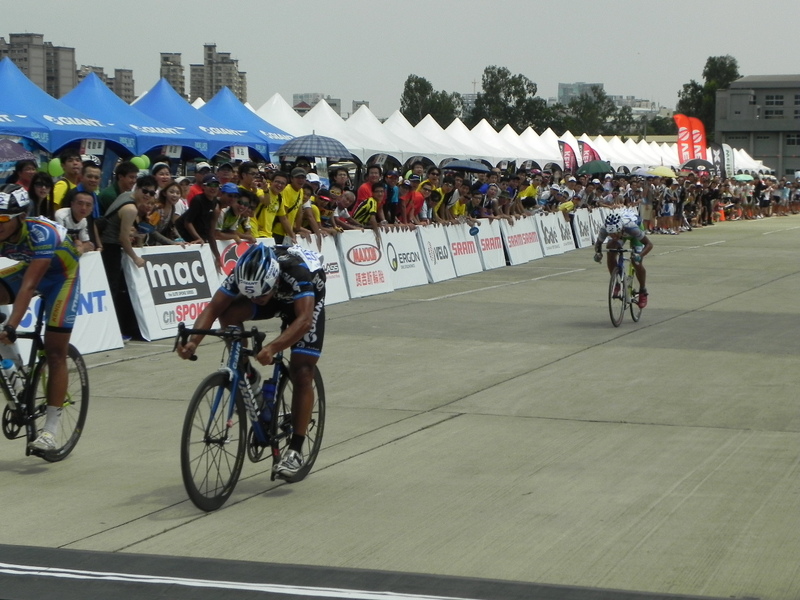 The eventual winner, #13 張簡崇進 from Team Equinox set a relentless pace the whole way. 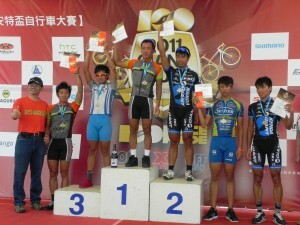 黃文忠 of Team Giant-Kenda was in contention for a while but also fell victim to a DNF. 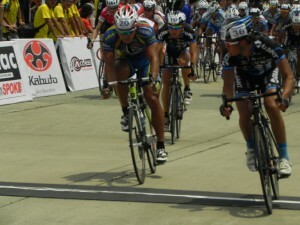 Just behind him, Inigo Gisbert is making a move. He stayed with the pace to finish 16th overall and 2nd in his RE 30 division. 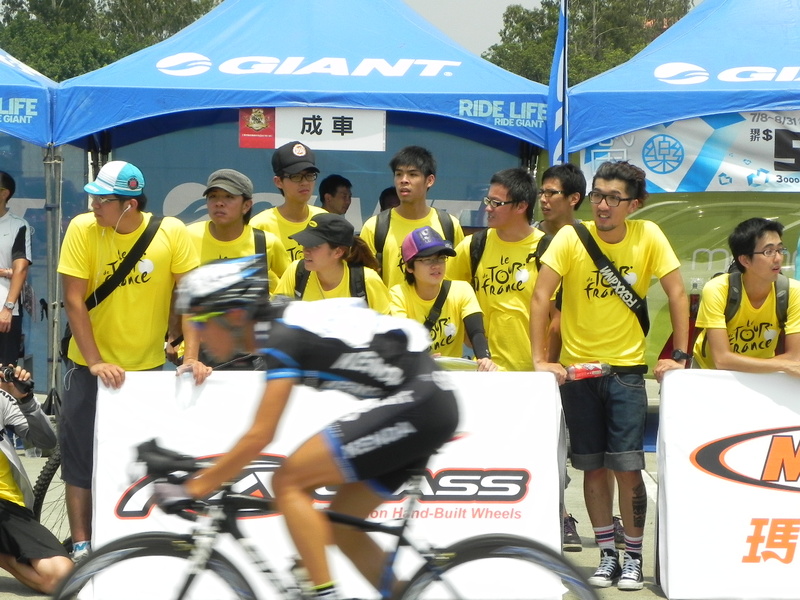 The crowd were enjoying things reminding us that half a world away a certain Time Trial would soon be underway giving the Yellow Jersey to a very deserving winner. 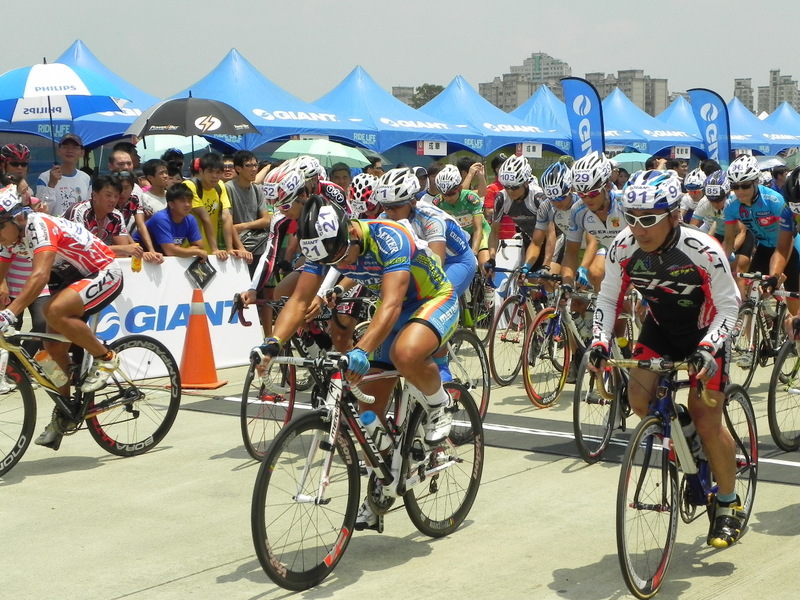 陳柏宇 of Giant-Kenda who placed 36th overall and 14th in his RE 19 division looks back at Senter-Merida’s 廖國龍 who he finshed one minute ahead of. 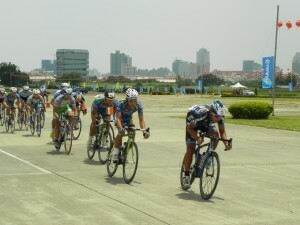 As the initial peloton broke up quite quickly, many found themselves stranded. 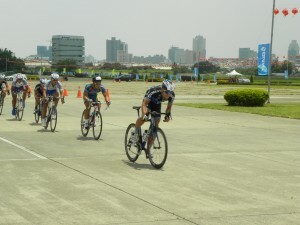 On a day where there was a brisk westerly crosswind meant very hard going. You could do worse for yourself than drafting. 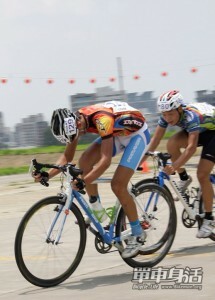 張簡崇進 is about to claim victory…convincingly!! 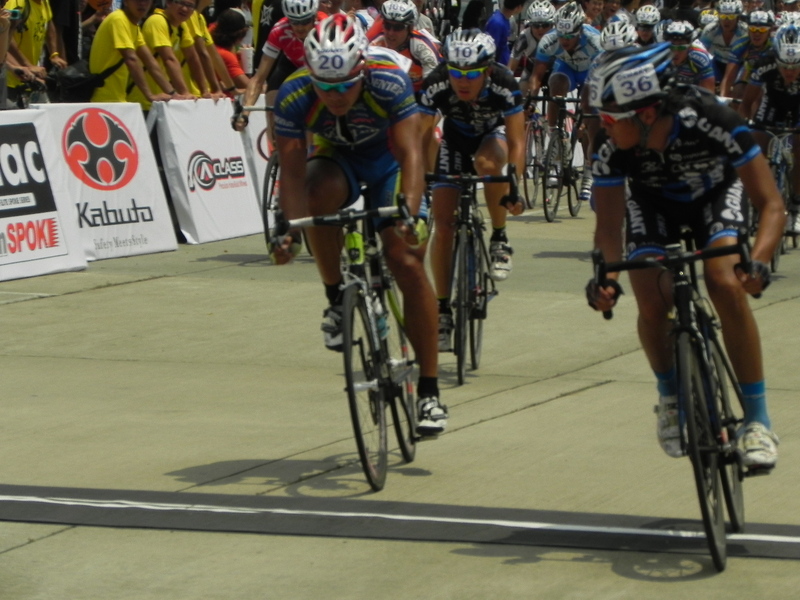 The other placegetters put in the last effort although you got the feeling there could have been some more dramatic sprinting going on. 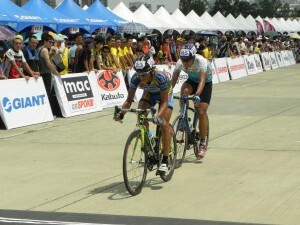 They not only survived, but earned the points. 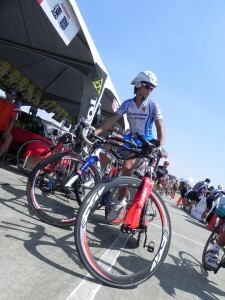 Timothy Barker of Team Amino STRONG‐BDOP took 23rd overall and 1st in his RE40 division. 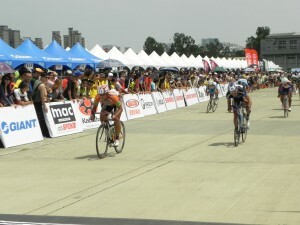 As the last of the awards were being handed out, the Team Time Trials got underway. In the hottest part of the afternoon, you had to have respect for these riders! 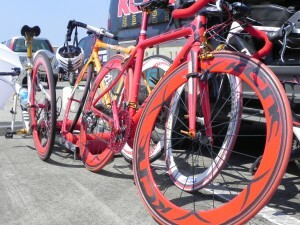 Plenty of funky bikes were around today, but this was by far the funkiest.